Before I met Tim Paisley, bait was no more important to me than any item of tackle I happened to have with me. However, that all changed in 1987 and, since then, bait has always been my priority. It is even equal to location – after all, there is no point finding them if they won’t sample or eat the bait. Frankly put, get the bait and bait application right and carp fishing can be easy. This new book from Tim is a must for all those who want to understand what makes carp tick when it comes to carp bait. It’s not a compendium of recipes but a thorough, researched, and proven, fact-filled look at what stimulates and attracts carp to pick up bait. Absolutely, essential reading for any serious carp angler. 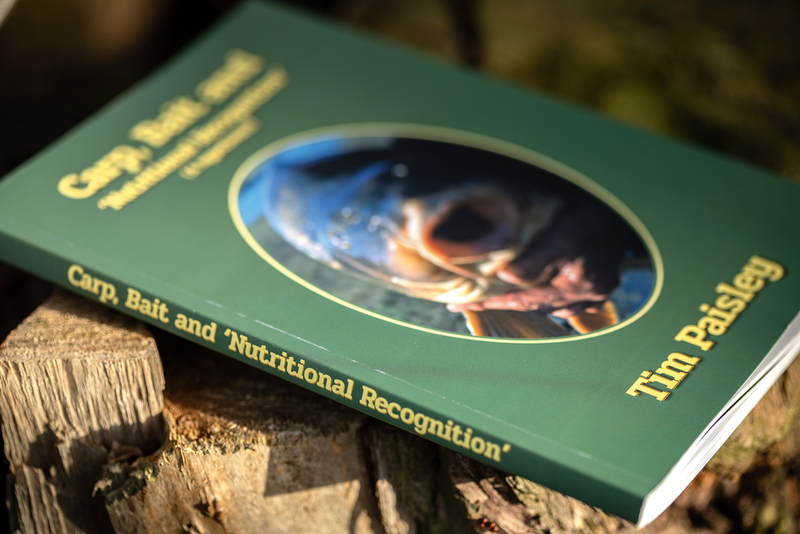 Tim has put 40 years of research and thought into this book and has probably read just about every book on amino acids, enzymes and carp morphology along with water pH and its effect on carp. He gives full credit to Fred Wilton and Rod Hutchinson for starting him on this journey and, in fact, the book is dedicated to both of them. He states that Fred was far ahead of any of the researchers in the rest of the world when his first piece was written on boilies. Rod – and I was not aware of this – was making special baits with flavours long before his particle days. The quest was in order to try to solve the many imponderables carp anglers have on how carp feed, why, and what stimulates them to do so. He does admit not necessarily solving the questions, and labels some of it as hypotheses, or conjecture, but above all, it does make sense. This is not a carp/bait/recipe book and has little to do with ingredients other than talking about a carp’s nutritional need, why some amino acids work and other do not, and the possible effect of enzymes on boilies. It also covers how a carp’s digestive system works. Tim also writes on the inevitable debate as to whether frozen or shelf-life boilies are better, and his own thought on this. It also covers the possible effects of changes in pH on the feeding patterns of carp. Rod’s two chapters are on amino acids, from 1980, and attractors, from 2010 – plus there are guest chapters by Simon Horton, Lee Jackson and Kevin Knight. Interestingly, Lee did a huge amount of research on how plastics are made, what goes into them and why a carp would want to eat them. 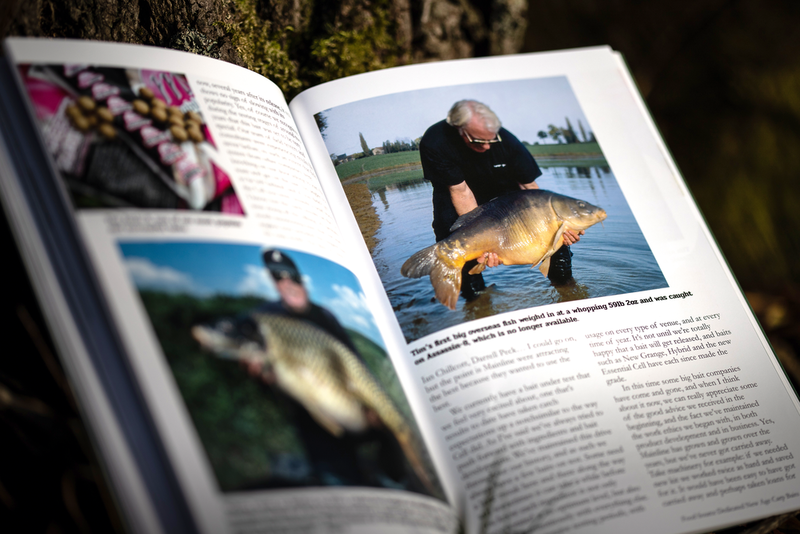 Kevin’s chapter revolves more around the quality and success of the Mainline baits over the years – what goes into them is a closely guarded secret - and centres around ingredients and research from the food industry. A must read for those who make their own baits, run a small bait company, or have an interest in bait. You will without doubt learn a lot from this book.